On June 25th 2018, Houkago Princess members and staff made the announcement that 6ki member Shirosaki Himari and Kojima Mayumi from the 7th generation would graduate from the group in a double Graduation ceremony on August 12th this year. Shirosaki Himari was first introduced as an Apprentice in June 2014, and was eventually promoted to Regular status in February 2015. 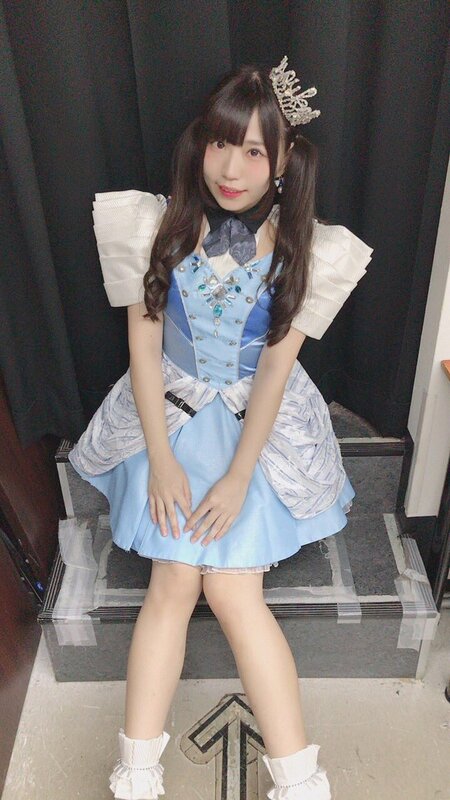 She is a 6th generation member alongside Michishige Saho and Maika, as well as the youngest member within Houkago Princess. 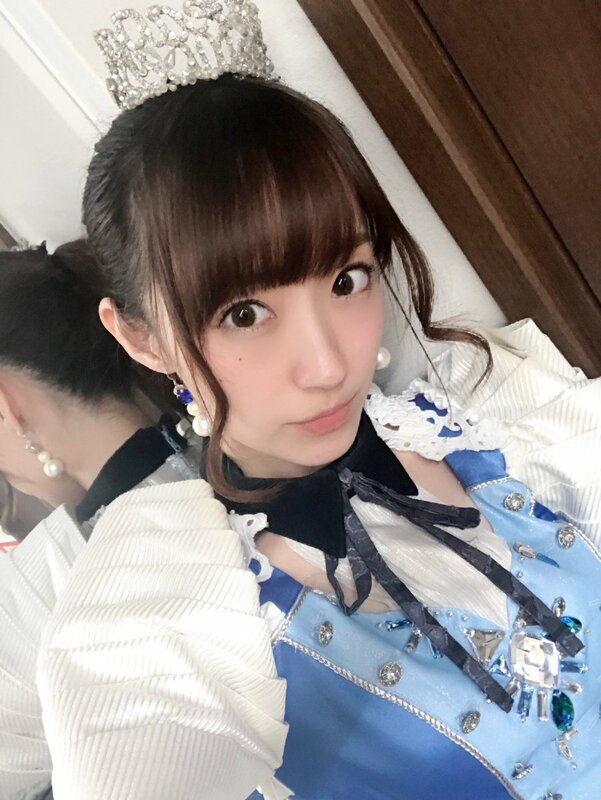 In September 2015, Kojima Mayumi joined Houkago Princess as a member of their trainee programme, HouPri YOUTH Beforehand, Mayumi had been active gravure model. 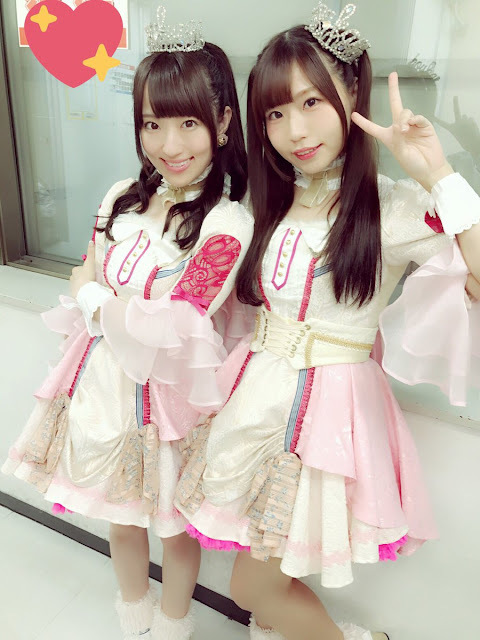 Since September 2016, Mayumi has been an active member of Houkago Princesses Regular lineup as a 7th generation member alongside her gen mate, Sekine Sasara. She will be the second member of her generation to graduate. I will graduate from Houkago Princess on August 12th. For everyone who has supported me these past four years, I cannot express my gratitude in words. I am very happy thanks to everyone. I believe that I have worked hard as an idol. But I have also been worried that I was not giving you the best results, even during my better days. Still, I was full of gratitude for everyone who has supported me even then. It was then that I began to think about graduation more and more. Though I have not decided what I will do upon graduation, I hope to make use of all that I have learned as an idol, and I believe that I can find my path without regret from now on. On August 12th I will hold my graduation performance. It is a little more than a month where I can express the appreciation I hold, but I will do my best until the very end! Thank you. I am sorry to surprise those who support us daily with this sudden announcement. I am confident that here on, I can continue my activities with Houkago Princess. However, I recently noticed that I have been lacking in my skill, resulting in both my performance and attitude becoming insufficient (for the group). "I wonder if I'm unenthusiastic, that's why my talent as an idol won't rise..." are thoughts I found myself thinking. With this immature side to myself, I felt that it would be difficult to continue being a part of the group when thinking such things, and whether it would be more positive to stay in the group, or if it would be more positive to pull away and watch their future activities. Although there is a short period of time in this final month before graduation, I will do my best to shine brilliantly on stage until the end and showcase my abilities as much as possible. Until the very end, thank you for your support! Read the original transcript HERE. I haven't updated on HouPri all that much this year. Then again, I am blogging a lot less than normal, so it makes sense for me to report on these things as little as possible, especially when life gets in the way. That, and HouPri news has been lacklustre these past few months. Then they throw us two big announcements in one fell swoop. First, two members being promoted from HouPri YOUTH. Now, two graduations. Guess which one woke me up with a right big slap to the face. Honestly speaking, I'm surprised, but also, I'm not. With no real graduation last year (Saho's demotion won't count), HouPri was bound to announce a lineup change at some point, but let's be real: I didn't expect it to be either Himari or Mayumi. Sure, Himari actually makes more sense, but regardless, it's still a bit of a shocker. I still don't know what to say regarding this announcement, and it's been a day since it was released. In regards to Himari, I feel like I'm a little less surprised by her desire to graduate. 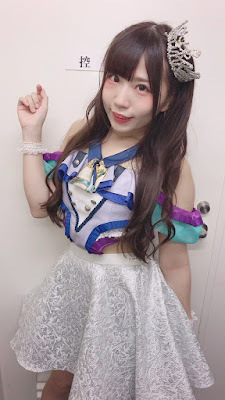 Despite only just turning 22, Himari has had a fairly fruitful four years as a member of Houkago Princess, debuting as a Regular member months before the groups major debut under Universal Music Japan and featuring quite nicely in a few singles. She's fairly popular (it seems that way, at least) and despite being the youngest member right now, she seems to have a good head on her shoulders. Since becoming a member of HouPri, it seems like Himari has had a good run in the group, so I actually don't think her graduation is that surprising or poorly timed. It might seem sudden because of her age, but 4 years is a decent, if not typical amount of time for an idol to be around. Plus, Himari's an adult now, and after experiencing the idol life it feels like she's ready to move on. I actually feel like her message is one without regret, because despite feeling like she wasn't doing well some days, she seems to have realised that she wants to experience more in her life than simply being an idol. It's sad that Himari has announced her graduation, and honestly I'm still reeling from it, but I'm happy that she has come to this conclusion and decided to move forward towards a new path. 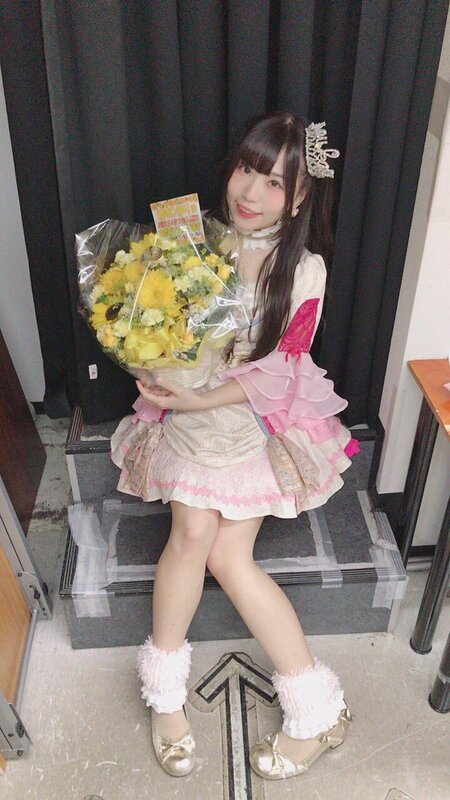 I love Himari, and it will be so weird seeing the new lineup without her vibrant smile and energetic aura, but honestly, I wish her all the best and hope that she finds a career she enjoys, and a lifestyle that befits her sunny, sweet nature. Yeah, I really don't know where to begin with this one. I don't actually get Mayumi's graduation as much as I do Himari's. I understand the message and feelings she's conveyed, and I understand her reason for going, but at the same time, my heart is conflicted and refuses to register that she's leaving based on the decision she's given. Deep down, I think there's more to it, and after further thinking, I feel like Himari is in a similar position. I feel like Mayumi (and in a similar vein, Himari) has been forced out, perhaps in a situation similar to Sahochi when she was demoted last year. Call me crazy, call me a drama queen or a conspiracy theorist or whatever, but I swear, Mayumin's reason for leaving is all too similar to the reasons why Sahochi underwent training before she was demoted to YOUTH status all over again. This might be my sadness speaking, because Mayumi's graduation announcement provoked me a lot more than Himari's did (I cried), and I understand that my feelings are skewed right now, to a point where I will be salty as all heck, but it's possible. I mean, management in any Idol group generally have a say in who graduates next, and sometimes they even decide for the idols / group themselves if they aren't up to scratch, so this isn't an impossible scenario. 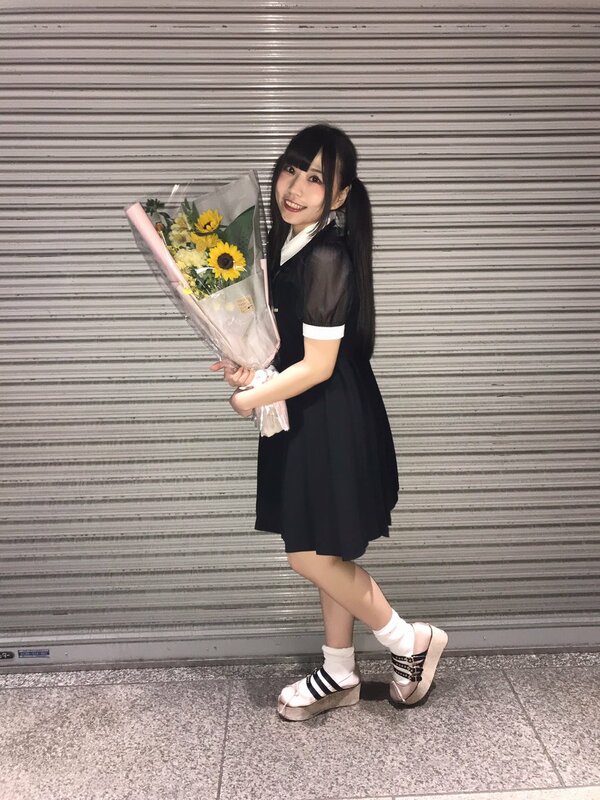 I don't want to think this is the case, but with how close to Saho's reasons for her demotion and training this graduation decision is, I really do wonder just what has been said, and if Mayumi was given an ultimatum in regards to her future as a member of the group. Then again, these are just my theories. Feel free to ignore or partake in them as you please. Regardless of my thoughts in why she's graduating, I'm sad. I really love Mayumin, to a point where I was ready to meet her if I ever took a trip to Japan within the next year, and upon reading the announcement that two members were graduating with her name right next to Himari's, I started crying. I honestly thought it was just Himari graduating, but the moment I saw Mayumi's name listed in the report I went cold. I really, really like her, and this announcement is almost as heartbreaking as Mihotan's was back in 2016. It feels too early for Mayumi to leave, and reading her message only makes me sadder. Whether it's from her own belief that she isn't skilled or talented enough for the group, or because management have told her she's not good enough, I feel a deep sadness that Mayumi has written these things or thinks of herself in a less than positive way. She might not be the most talented singer or greatest dancer out there, but she is so vibrant and cute, a positive delight in all she does, and she has made me smile during my time as a fan of hers. From the moment she joined HouPri YOUTH I have liked her, and I will like her even after she graduates, but right now it is still hard to come to terms with the fact that in just over a month she will be leaving the group I adore so much. It's so hard to write down what I think and feel right now, and just looking at these pictures makes me want to cry. 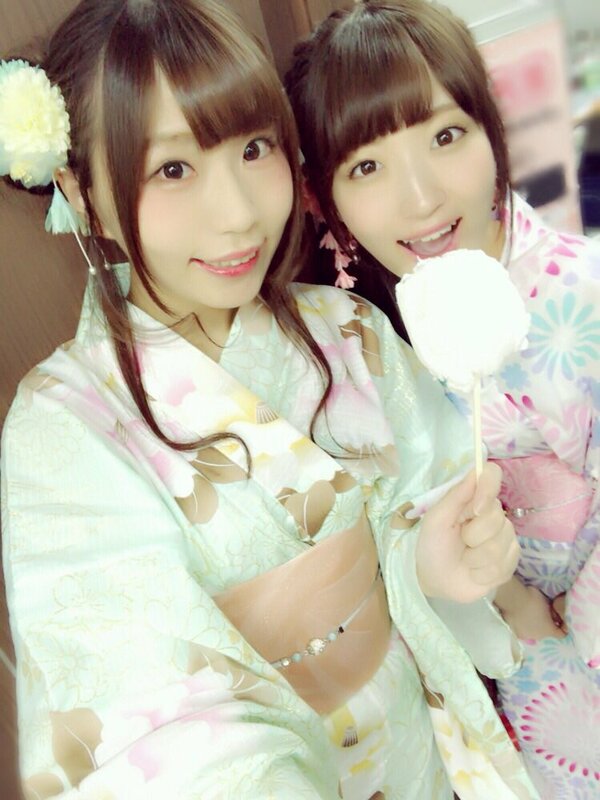 Both of these girls have brought me so much joy in the few years they have been members of Houkago Princess, and at one point during their careers, they have been favourite members of mine. I love them both, and though I admit that Mayumi is my favourite of the two, I will still miss the two of them a great deal. I honestly dread the coming of August right now. We have just over a month before Himari and Mayumi graduate Houkago Princess. So far, neither have revealed whether they will stay in the industry or if they will lead a private life, but for now I hope to treasure their presence and love them more with each passing day. I know we don't have long left, but before they leave and create new paths for themselves, I will support these two joyful idols with all my might. Until the next post, dear readers. Take care.